These treatments are much more than mere a physical oil treatment. resulting in the effect often lingering for days. the following treatments in a comforting space in Hamburg, Germany. Abhyanga is one of the classical whole body ayurvedic treatments. It's deeply relaxing both energeticly and physically. 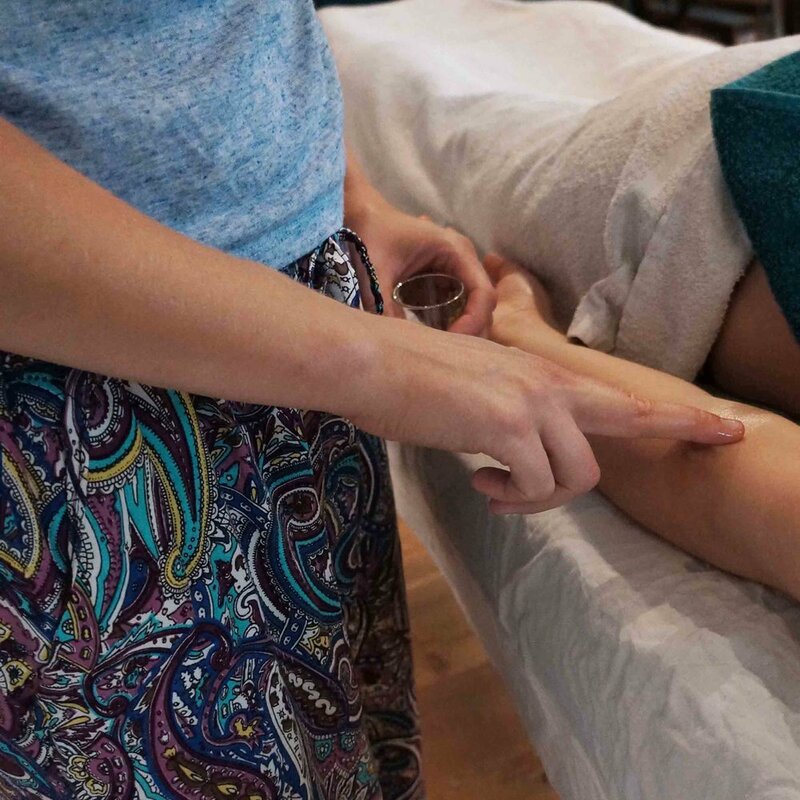 This is not a traditional deep tissue treatment, instead the pressure is applied evenly over the whole body and the movements are long and smooth. This is done with the intention to balance our energetic body and applying herbal oils, rather then massaging the bodily tissues. The treatment takes 60 minutes. This balancing treatment is done only on the face, scalp and neck and is therefore ideal if you prefer to stay dressed during the treatment. making it a powerful treatment influencing the whole body and person on many levels. This treatment is 40 minutes long. A therapeutic full body massage working with subtle movements on small energy centers, marma points. With pulse reading a marma oil is selected for you to suit your current state. The treatment is powerful and works effectively in many different areas. Similar to FaceLift, the marma points used are connecting to different parts and organs of the body. This balances the entire being on a deep level. The treatment gives support and strength to a tired body in the healing process. The treatment is 60 minutes long. This powerful treatment is done on the floor on a thick mattress. With pressure, stretches, twists and marma points it stimulates the circulation and loosen up the entire body. Trough puls reading on the day, I will determine which oil will be the most balancing for you. The treatment is 60 minutes long.